As you know, picking up a book nowadays is pretty alien to me, and I hate that. For someone who has worked many years in the book industry, it kind of hurts? Ya know? Anyway, I have decided this year to keep it short and sweet and maybe update you all on my progress? I have a reading list which is crazy long, and i feel like this might be the only way I'm going to conquer it! 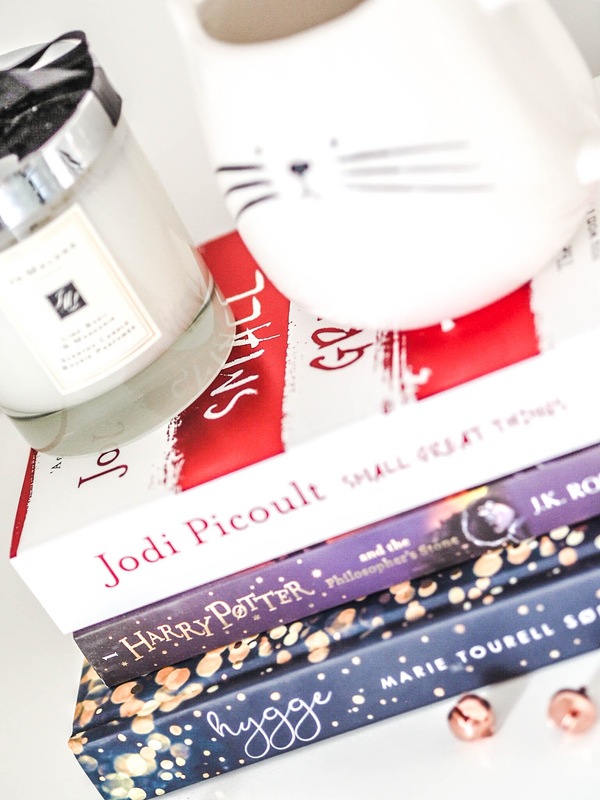 If you read my blog post on my 2018 goals you will see that I wanted to reread all of the Harry Potter novels as a way to ease me back into reading. I always find it helps picking up a book that is kind of familiar, and even a bit homely? So, this one is first on my list. This is the first Jodi Picoult novel I have ever wanted to read. This was a blogger made me buy it purchase, so we will see if their review holds any credibility. I am determined to make this the year of hygge. The house is pretty much fully decorated (for now) and I am so happy with how it's turned out. Obviously there are a few niggly bits here and there, but what's perfect anyway? I am hoping this book will help me on my road to contentment this year.. This one isn't pictured because it is a last minute addition. I loved the blurb, so of course this had to go on my reading list. I can see this one as a bit of a summer read, so I might save this one for our holiday.